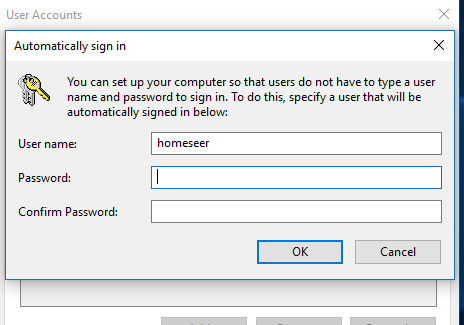 The HomeTroller S6 is set up to auto-login the HomeSeer user. 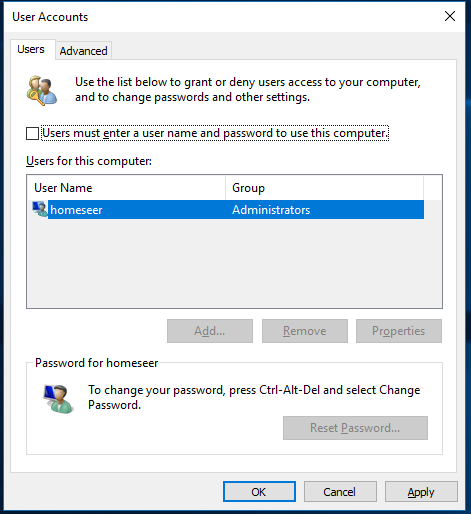 If you wish to change the user password for Windows, which we suggest, you will break the auto-login. Here is step by step how to re-enable that feature. 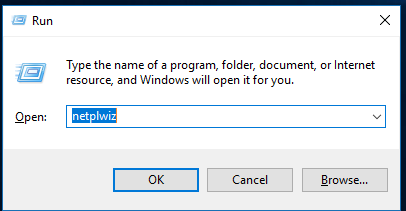 In the run command window, input "netplwiz" and click Enter. Uncheck the box that says "User must enter a user name and password to use this computer"
Click Apply and enter your password.